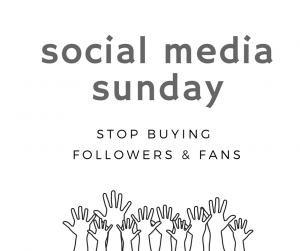 Stop buying followers and fans. It’s easy to get into the habit when your objective is to simply grow your number of followers. Networks like Instagram are already removing bulk likes from pages; and tools for Facebook are exposing accounts with a high volume of fake fans. So just remember that it’s not worth it – real followers and fans do way more for your engagement and growth. What is a micro-influencer? A micro-influencer is someone who has an audience within the follower range of 2,000-50,000 on any social media platform. 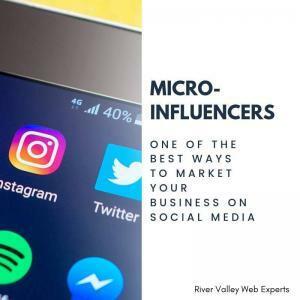 The reason micro-influencers tend to work better for business owners who want to promote their brand is that after 10,000 followers, it becomes much more difficult to manage comments. Micro-influencers are budget friendly and can really focus on engaging with your target audience. Do you know what a niche hashtag is? A niche hashtag is a hashtag that is specific to your product or service that may not be as large as a popular hashtags. For example, a niche hashtag for River Valley Web Experts might be, #fortsmithwebdesign. Niche hashtags are great for people looking for specific subsets of content. If we were to use #webdesign, the likelyhood of us being seen are far less. 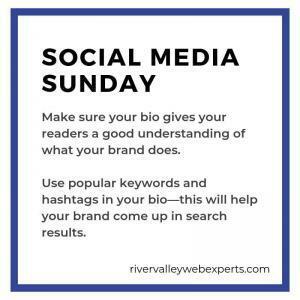 Figure out your niche hashtag and make sure you have it listed in your bio! That will help you get seen by the customer base you want. Your business should be using Facebook Marketplace to get exposure to potential customers. Using paid Marketplace ads can really ramp up your local business. Listing is easy and free, so you don’t have to invest a lot to being with. 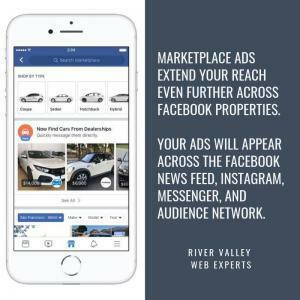 If you see interest in your product or service, go ahead and pay for some paid Facebook Marketplace ads. This is especially profitable for service based companies. Pick one or two social media networks and concentrate your focus there. Interacting with your audience regularly is key to success. If you are on Facebook, Instagram, Twitter, Youtube, Pinterest and Snapchat but you aren’t responding to comments or engaging with people via hashtags, then those social networks aren’t doing anything for your brand. 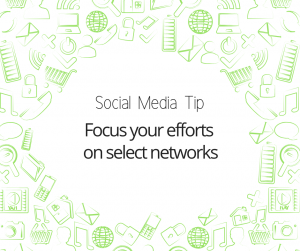 Select one or two networks to really concentrate and engage with, and watch your business grow.